The Grand Victorian Ballroom: Waltzes, Quadrilles, Contras, Polkas, and Other 19th Century Dance Music (Gaslantern Records, 2012), with its accompanying sheet music, is the second of two CDs I received for my birthday earlier this year, along with North & South. But unlike North & South, this album was designed for dancing, so it is both beautifully played for listening pleasure and entirely functional as dance music. The musicians, once again, are the members of the Orchestra of the Gilded Age (I still don't know exactly who those members are) conducted by Jeffrey Hunter. As with North & South, there are no liner notes included with the disc, but the Gaslantern website has all the details of sources, composers, dates, etc. All of the tunes except the two contra dances are dated between 1850 and 1870, perfect for a mid-century or American Civil War-themed ball. The contras are also quite appropriate; though their tunes are older, they were still popular and attached to common dances in this era. 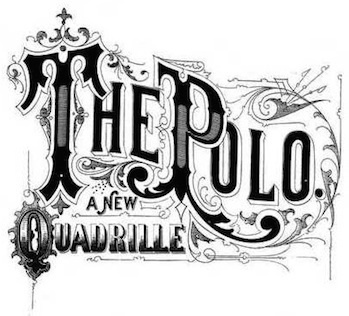 While the focus is on American composers, the album includes the two quadrilles with European connections: the Prince Imperial Quadrille (French, but popular in America) and a Lancers set adapted from Jacques Offenbach's opera, La Grande-Duchesse de Gérolstein. My immediate advice: if you enjoy mid-nineteenth-century dancing, proceed directly to Gaslantern's website to order this CD. It's not available digitally; you have to buy the actual disc. 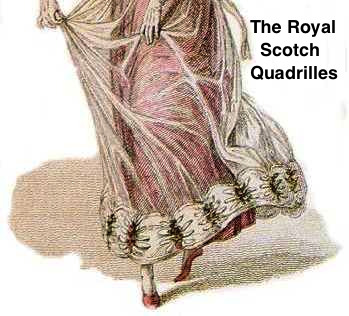 The sheet music can be ordered in either physical or PDF format and includes dance notes for the quadrilles and contras. If you want more information first, a track-by-track breakdown is below. But first, a note on the musical style. I'm not expert enough to tell whether the instruments and arrangements are strictly historical, but they are certainly not overtly incorrect, and the sound is simply gorgeous: lush and orchestral, well-suited to a formal ballroom. Even the contras sound elegant -- in a good way -- rather than rustic. I really wish Gaslantern would make a list of the instruments and musicians available, but they haven't done so, and they still don't seem to want to communicate beyond taking orders. The verbiage is a little overblown; "much of this music has not been heard for a century" is something of an exaggeration when some of these pieces have been recorded multiple times or are still played in living tradition. But there are enough fresh tunes that it's not completely ridiculous. Unless otherwise noted, all pieces are at steady tempo with no awkward surprises for dancers. Two great polkas that I've never head before, played at cheerful tempi suited to more casual polka steps. A nice piece, new to me, at a tempo that is brisk but won't kill the dancers. This is the fourth recording I've acquired of the very popular (at least nowadays) "Rainbow", but it is by far the nicest. "Storm" is brand new to me, and very welcome. "Fairy Wedding" is a lovely piece at a good tempo. "Pelican" is slower and has some dramatic pauses and other musical effects in the middle. It's also five and a half minutes long, which is rather lengthy for a couple dance (at least in America). It's the least usable piece on the album, but can still be danced to if you don't mind the interruptions. "Triumph at Manassas" is listed as a mazurka, but the one flaw in Hunter and his orchestra is that they don't seem to have any feel for mazurkas. I can't tell whether it's the composition itself or the way it's played, but it has none of the flair I expect from a mazurka and doesn't inspire the slightest urge to dance one. It does, however, work perfectly well as a slow waltz, so I've listed it as such. Note that the "Triumph" in question was a major defeat -- actually, two major defeats -- of the Union Army by the Confederate Army during the American Civil War, so this might not be the most tactful selection for a ball oriented toward the Union. These are great versions of very appropriate contra dance tunes. I've previously published a description of some of the versions of "Rustic Reel". I haven't written about "Chorus Jig", but it is definitely a good selection, common in period sources. It's nice that both pieces have long introductions. My only objection is that they are only played seven times through, which isn't much for a long set. Both pieces have just enough pause between strains that I think it might be possible to loop them into longer versions. "La Grande Duchesse Lancers Quadrille"
"Prince Imperial or Ladies Quadrille"
A fresh recording of a different Lancers set is a real gift to those of us who have danced it for so long that we're sick of the classic tunes. And this is an excellent set; Offenbach's fabulous music, well-arranged. My only quibble is that there is no introduction whatsoever to the fifth figure; not even a single chord. The coda of the fifth figure has an unusual seven-bar strain at the end. The Prince Imperial sheet music that I own (Allen Dodworth's) actually has an almost-equally-odd twenty-six bars rather than twenty-seven. Other versions just have twenty-four. But there is some variation in exactly how the very end of the coda is danced, and "saluts" can always be tweaked to fit the music, so it's not really a problem. For the "Grande Duchesse Lancers", the instructions do not note the number of repeats of the fourth and fifth figures (I checked the tracks) or mention the final grand chain at the end of the fifth. They do note that the dance instructions on the fourth figure appear to want twenty-four bars of music rather than twenty, though that doesn't match the score itself, which does call for twenty bars. 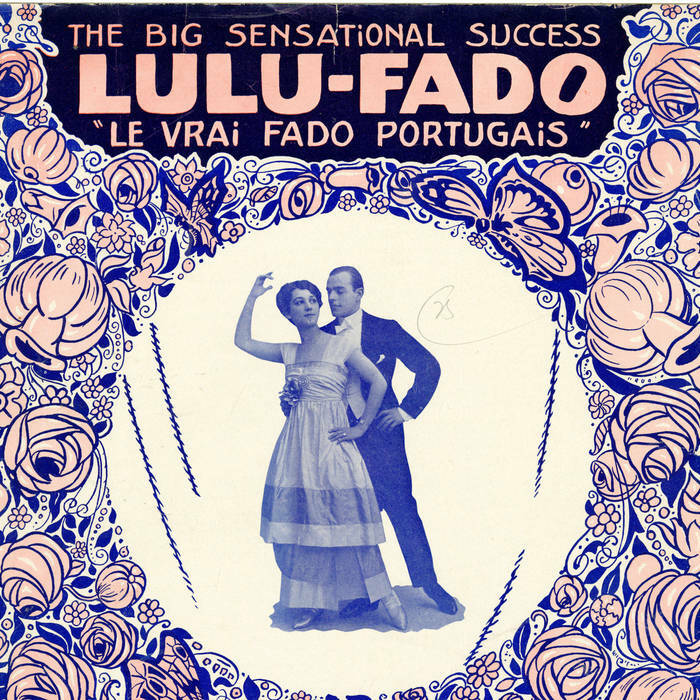 It may be found online at Duke University's Historical Sheet Music Collection for comparison. For "Rustic Reel", the instructions are for one of the later, less common variations. My post on the dance includes both the one given and more popular ones. For the "Prince Imperial", the language isn't the clearest on what constitutes the tourbillon in the fifth figure (not a problem if one knows the quadrille), and it gives a very specific breakdown of the final figures of the coda that is not supported by all the sources, since, as noted, there are variations in how those last eight to eleven bars are danced. For "Chorus Jig", the dance is given as improper, which it isn't, and the end has a "swing", which is easily misinterpreted as a modern "swing" rather than the "turn partners" of, e.g., Elias Howe's calls for the dance (as published in 1862 and in many other editions of Howe, as well as by other nineteenth-century authors). These may create some problems for people who don't do their own reconstruction work, but since the disc can be bought separately from the sheet music, they do not alter my enthusiastic recommendation of the CD itself. As noted above, The Grand Victorian Ballroom (CD and sheet music) may be purchased at the Gaslantern Records website. They continue to have a primitive ordering system that allows for only one item per order and ships each order separately. Trust me: this CD is well worth the aggravation. Special thanks to Serge for the fabulous birthday gifts! Thanks for the review! I have ordered both CDs. The CDs are well worth it. Enjoy! Actually, theis Chorus Jig sounds like reel, while rustic reel sounds like jig. Anyway, the CD is great. Thanks for the review! As Yuriy no doubt knows, but others might not, the fact that a dance has a tune type in the title doesn't mean the music is necessarily of that sort. Or vice-versa. The name-tune for Chorus Jig is, in fact, a reel, and the name-tune for Rustic Reel is, in fact, a jig. Life is weird like that. I'm glad you like the CD!